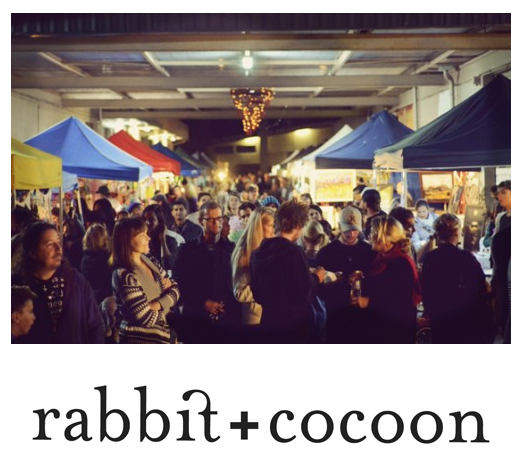 I (Emily) live on the Gold Coast and one thing I love about where I live are the Miami Marketta Markets hosted by Rabbit & Cocoon. Its a twilight market once a month offering creative wares, local music and food. I think this sums it up quite nice. "We are a not-for-profit creative precinct that provides spaces and resources for motivated people to develop, display and market creative works and entrepreneurial businesses. We also deliver regular public programs for locals and visitors to enjoy, and we form partnerships that connect various industries with the wider community." Studios UpLATE – a weekly twilight open studios and networking event. To assist Rabbit & Cocoon in delivering city-leading, culturally-beneficial programs, and for them to continue to provide the general public with high-standard and sustainable facilities and resources they need your support. If you have the means and love to help people create a culture where they currently reside you can make a donation here.